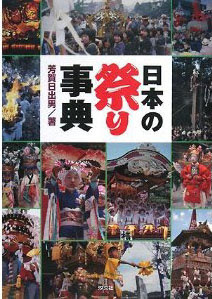 With many more keywords on the subject, like mikoshi, festival drums, shrine at night and more. 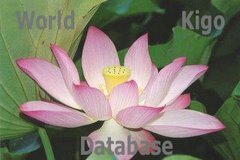 There are various ways to search for a kigo or name of a festival.
. AUTUMN - WINTER - NEW YEAR .
. - WKD - Kigo Calendar - the 12 Months - . CLICK to join the Japanese festivals on facebook! Festival (matsuri) 祭　Kigo for all summer. ..... gedachi 夏断 (げだち) "summer abstinence"
"Festival of the Green Leaves"
. Shrine-complex Kamo Jinja 賀茂神社 . - - - with a long list of related words.
. Chimaki shinji 粽神事 ritual of offering rice cakes . - - - - - and more related kigo. Denpa no hi 電波の日 (でんぱのひ) "radio day"
Eyoo 会陽 Naked Festivals . Third Sunday in February - Introduction . 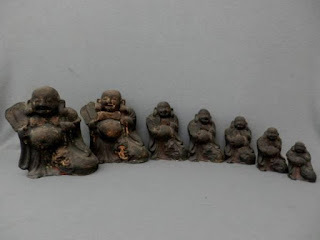 - - - - - Eyoo 会陽 "E yoo Ceremony"
shingi 神木 - "divine wood"
. Fude Matsuri 筆まつり Festival for brushes . Fude Kuyoo　筆供養 "memorial service for writing brushes"
. Fukushima Prefecture - 福島県 Festivals . It begins July 1st and lasts until July 31st, centered around Yasaka shrine, Kyoto. ..... ayame no makura 菖蒲の枕 (あやめのまくら) "iris pillow"
and more about the "Boy's Festival"
Gojinjoo daiko 御神乗太鼓 "Drums for the Shinto Gods"
Festival to "appease the vengeful spirits"
Hanabi Senkoo 花火線香 "incense stick firework"
. hanaguri kuyoo はなぐり供養) Cow nose ring ritual Okayama. - - - - - . HATSU, .. hajime - 初 first ceremonies of the Year .
. 岡寺山 継松寺 Okaderayama, Keisho-Ji . selling amulets on the first day of the horse festival.
. 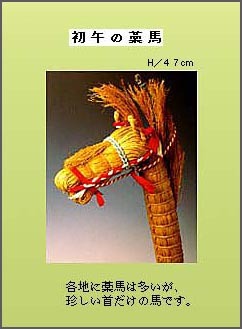 Toga no hatsu-uma 利賀村の初午の藁馬 Toga village straw horse .
. ema uri, ema-uri 絵馬売り vendor of votive tablets . In Nara, 旗飴 hata-ame - children walking around the neighbourhood to get sweets.
. 伏見土人形 Fushimi Clay Dolls .
. hoobeisai 奉幣祭 Festival at Ise Shrine . hookoku matsuri 封国祭（ほうこくまつり）"land presenting festival"